The Hauck Alpha+B Highchair offers a state of the art highchair that grows with your child!The practical Alpha+B is the ideal highchair for parents who place emphasis on design and functionality and is suitable for children from approximately 6 months to 12 years (up to 90kg). 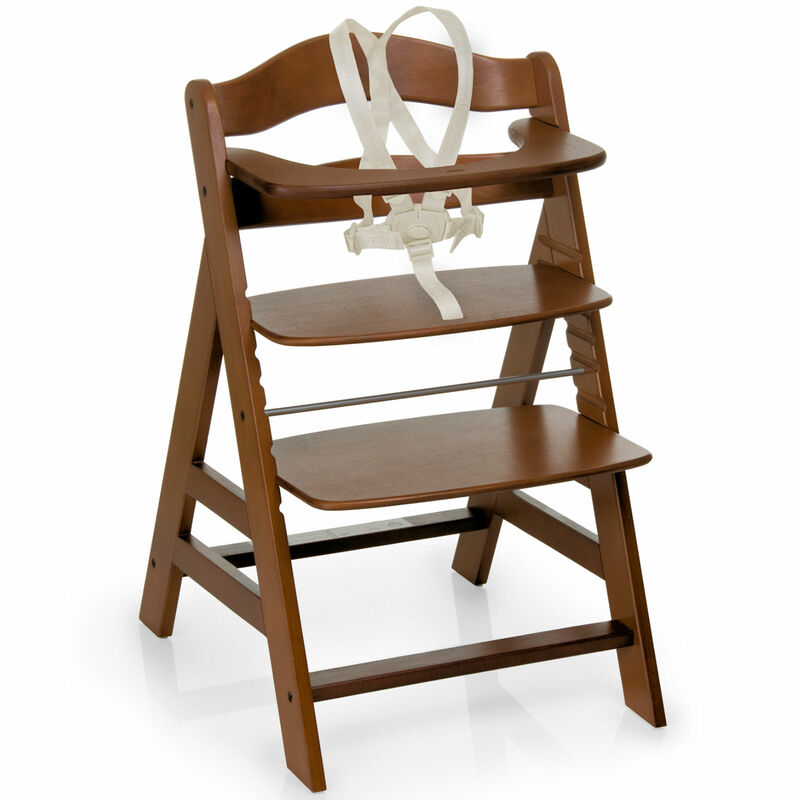 Tilt resistant the highchair comes complete with front bar and 5-point restraint system with crotch strap adding that extra security as your little one enjoys mealtimes. For older children remove the front safety bar and the seat unit and footrest can be adjusted in height and depth allowing your child to sit at the correct height at the table. Available separately are the Alpha tray and the Alpha 2 in 1 Bouncer which turns your Alpha+ into a Highchair from birth providing you with a highchair which stays with you as your child grows.